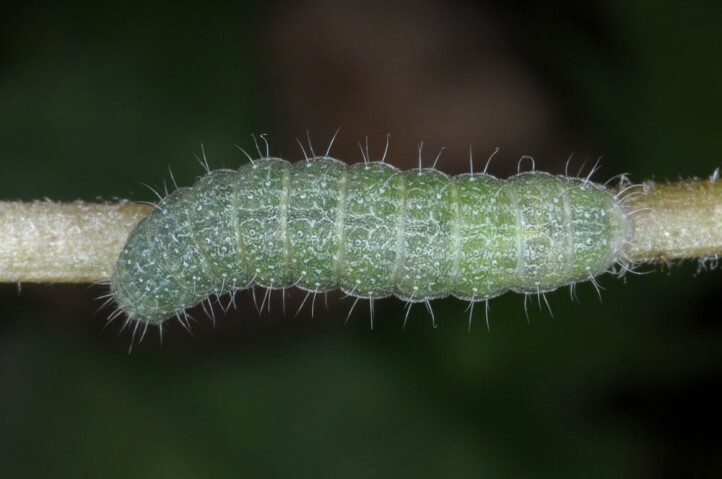 The larvae usually feed on Nonea pulla (Boraginaceae). 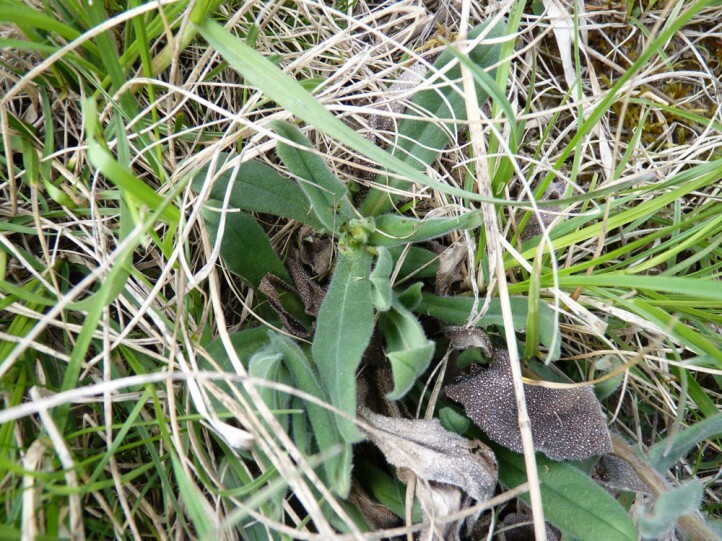 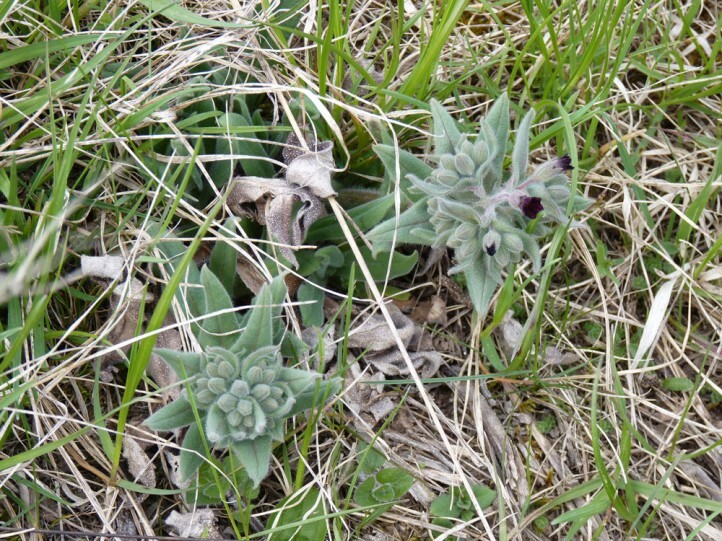 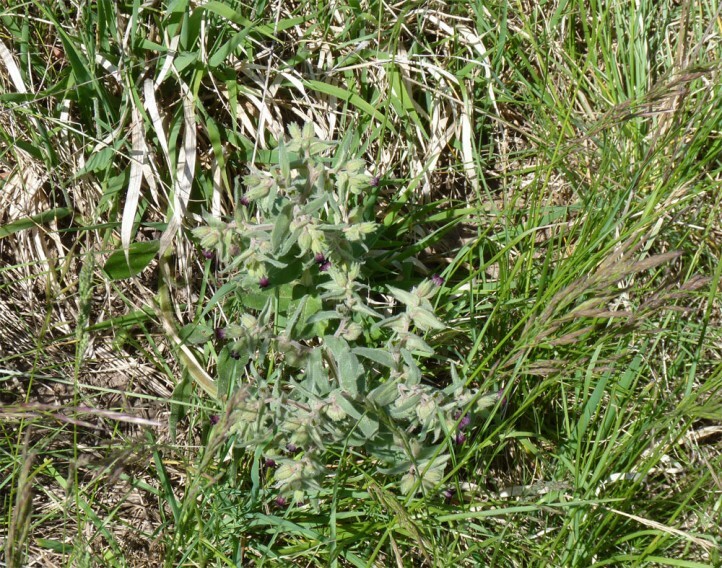 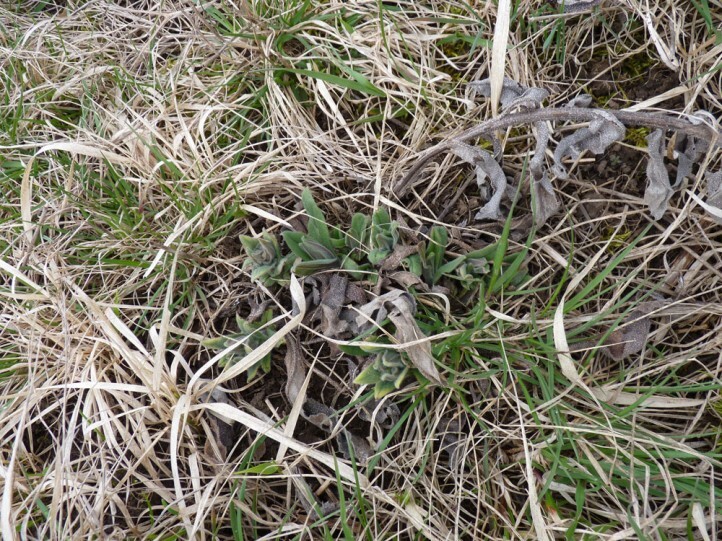 Literature also gives some other Boraginaceae such as Lycopsis or Pulmonaria, but their importance as host plant remains to be studied in the field. 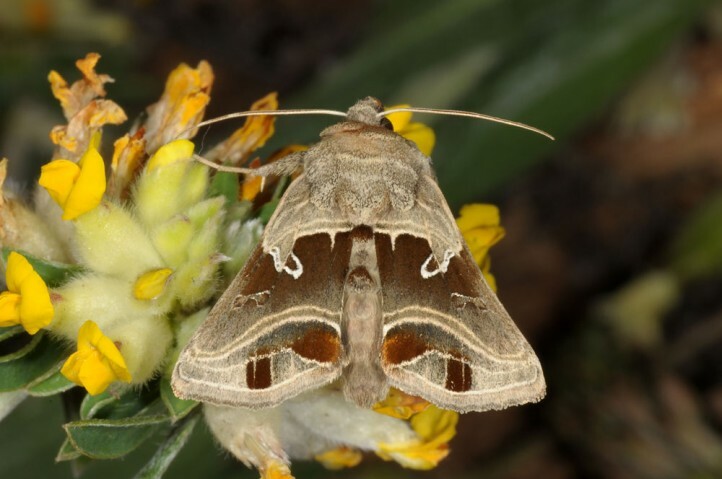 Euchalcia consona inhabits large nutrient-poor grasslands, pastures, steppe biotopes, embankments and formerly also extensively managed fields and their margins. 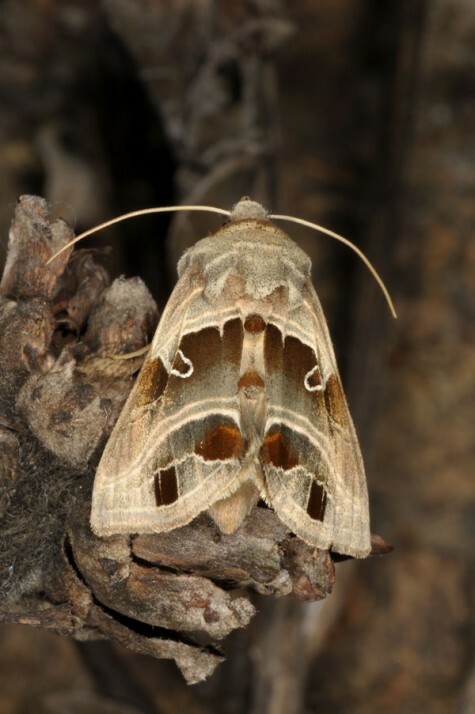 One of the few Euchalcia species with two generations per year. 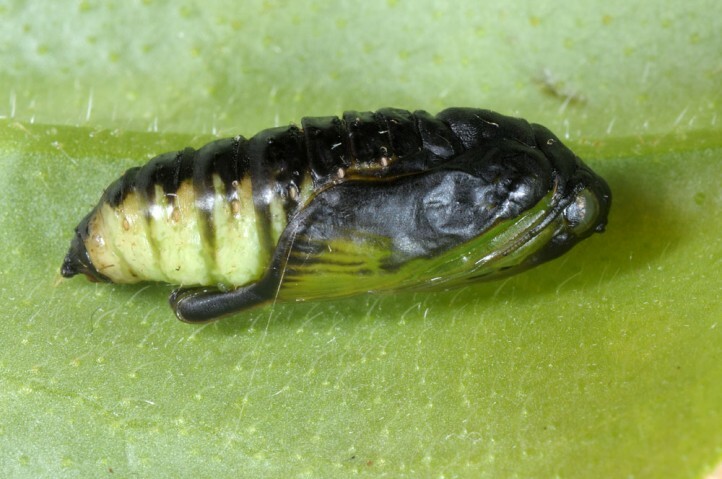 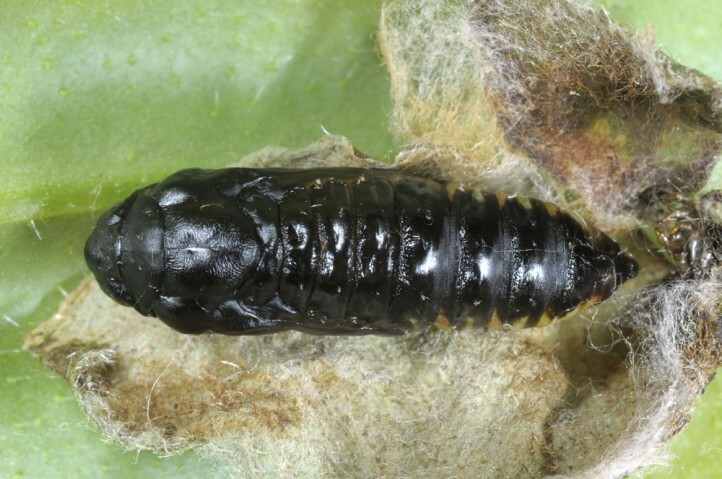 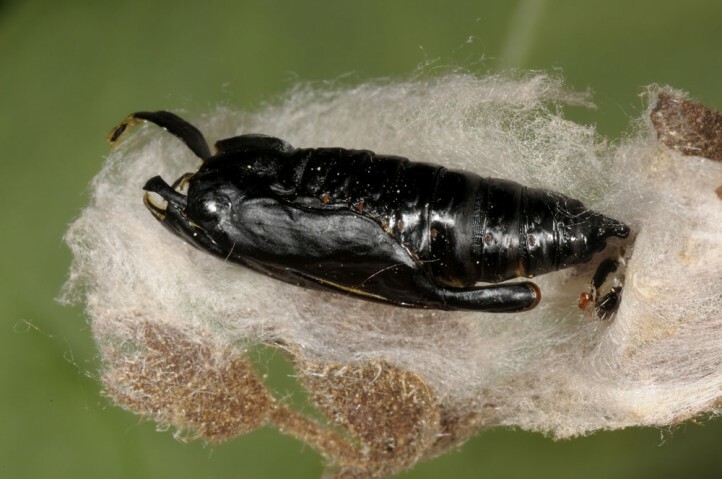 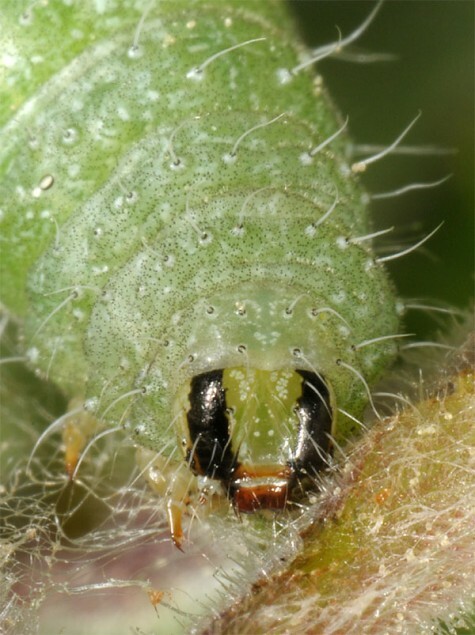 The larva in the first instar should hibernate in a cocoon as it the case with its congeners. 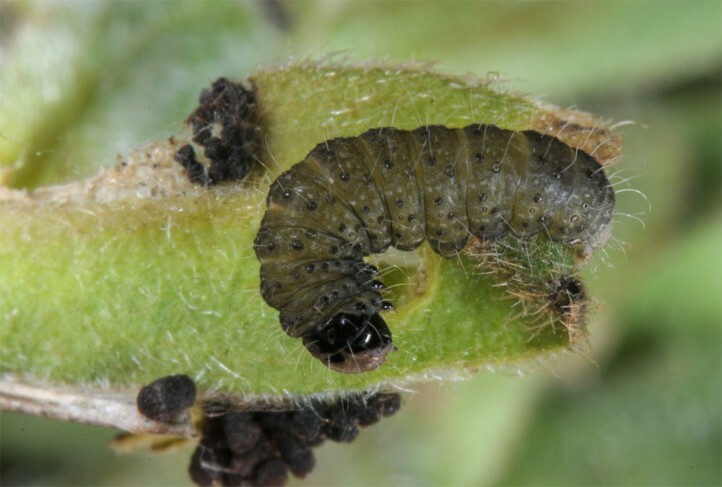 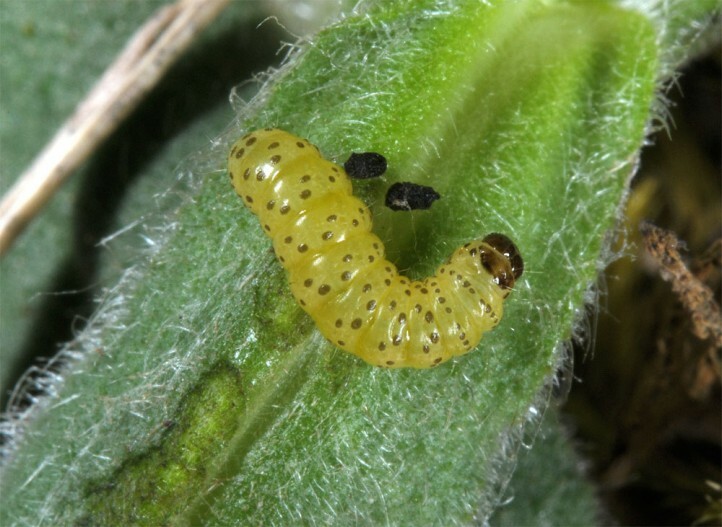 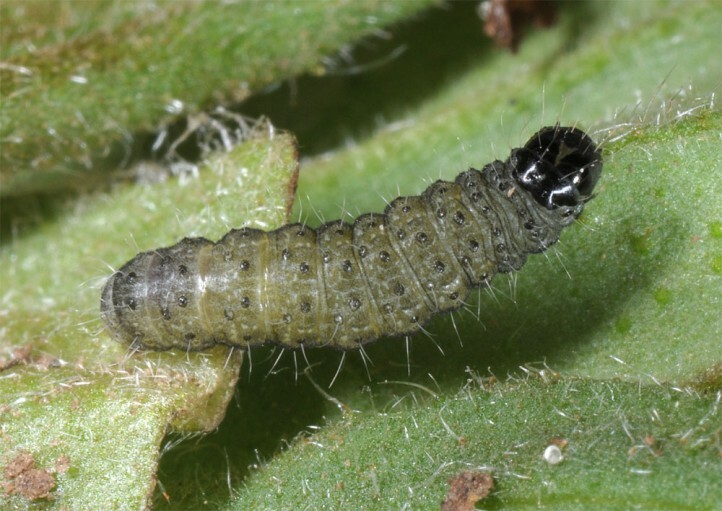 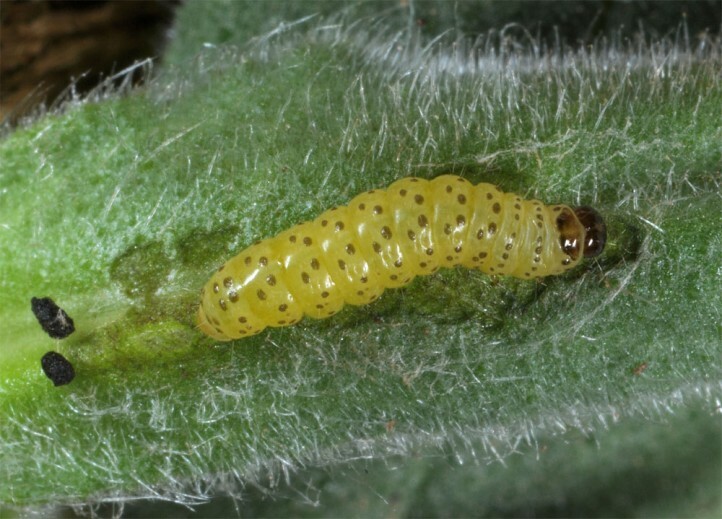 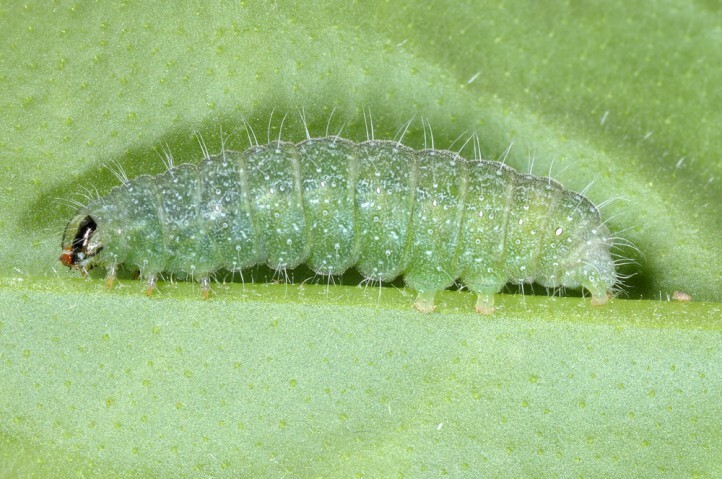 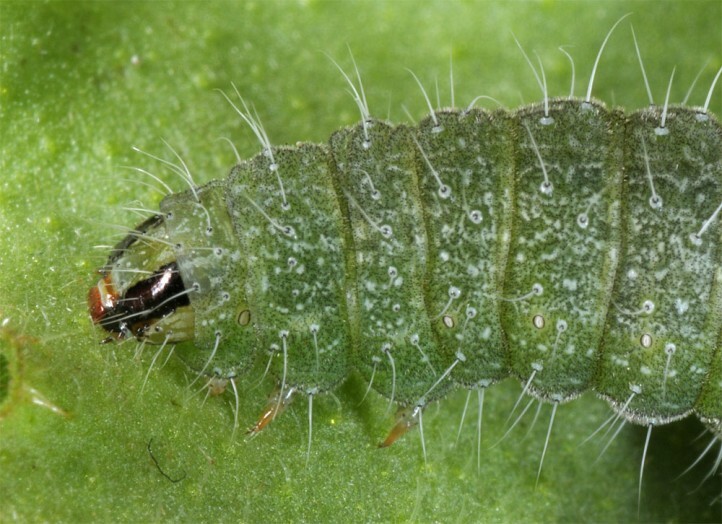 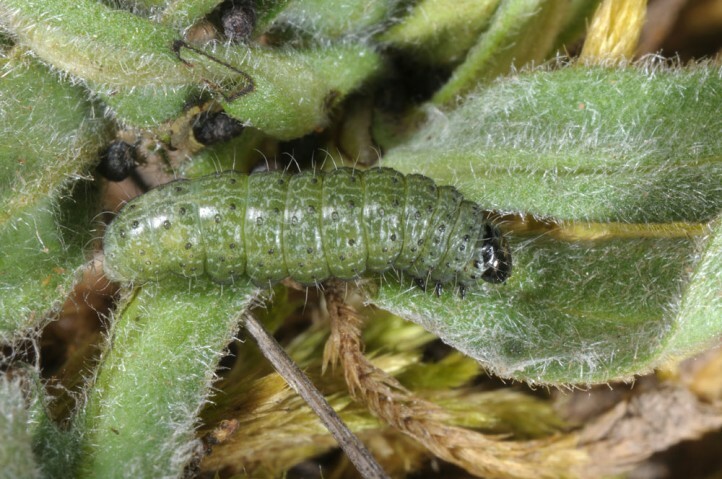 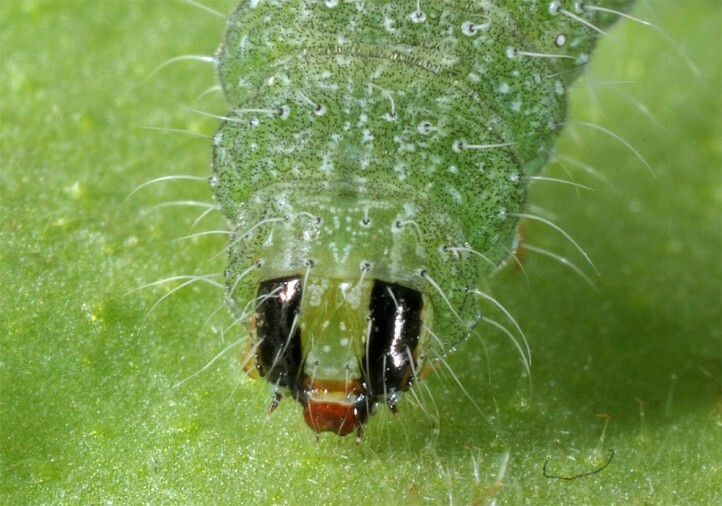 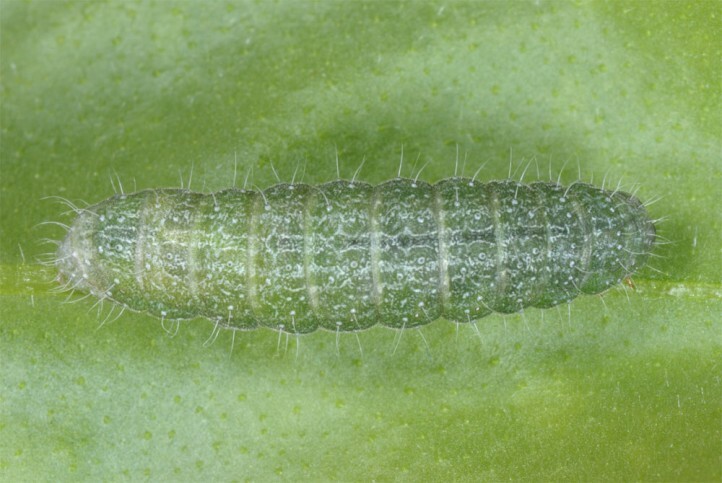 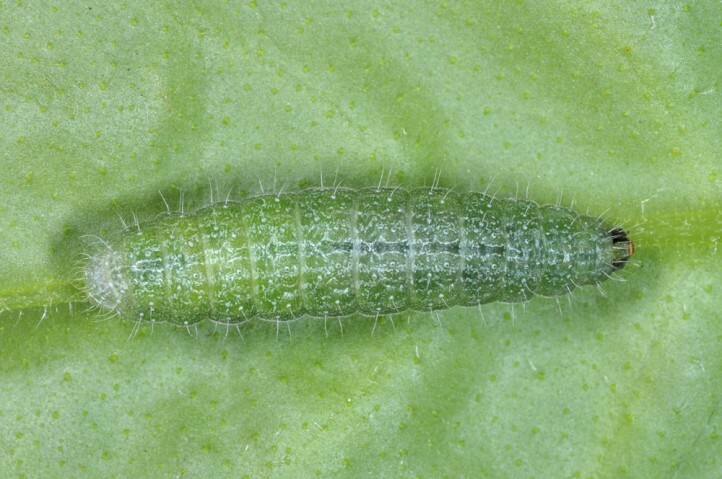 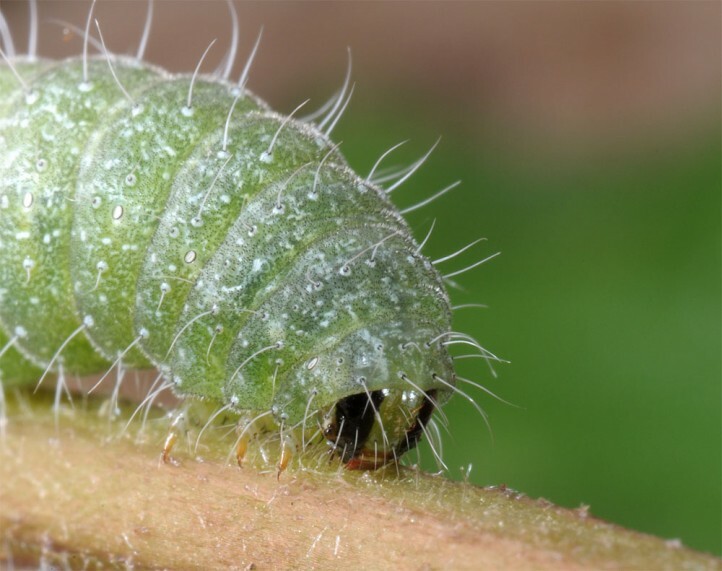 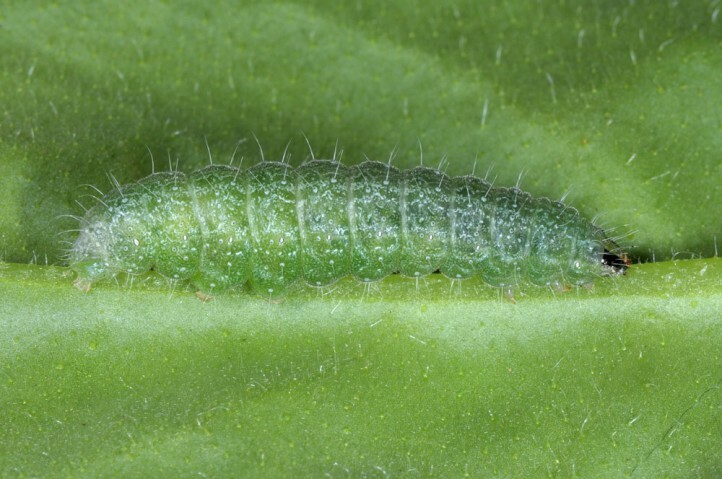 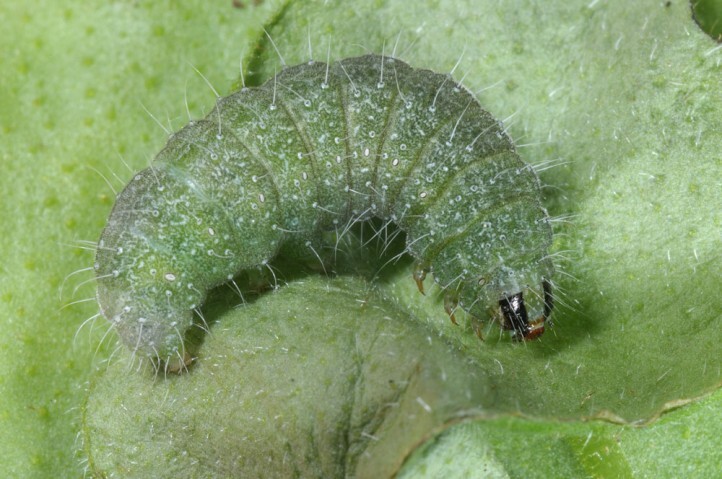 The larvae are mature most often in May. 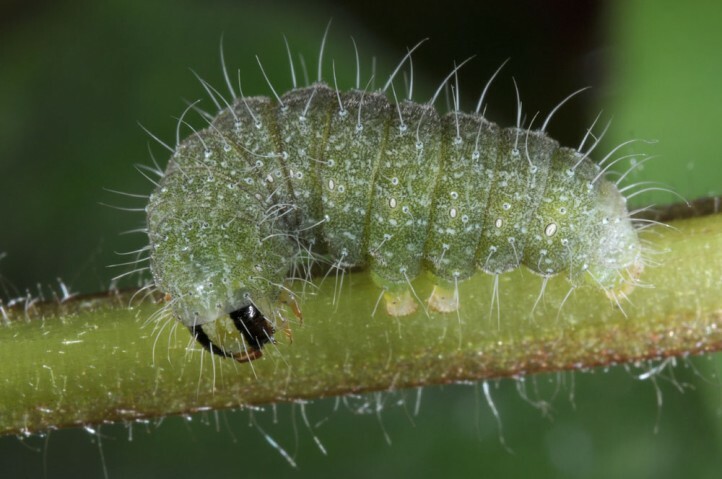 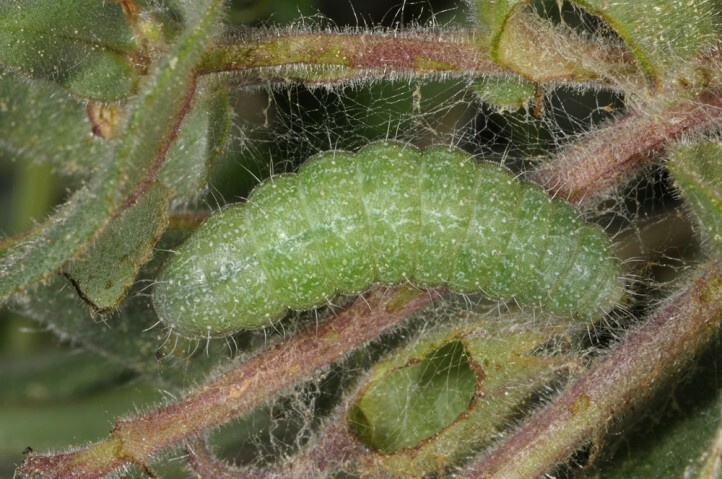 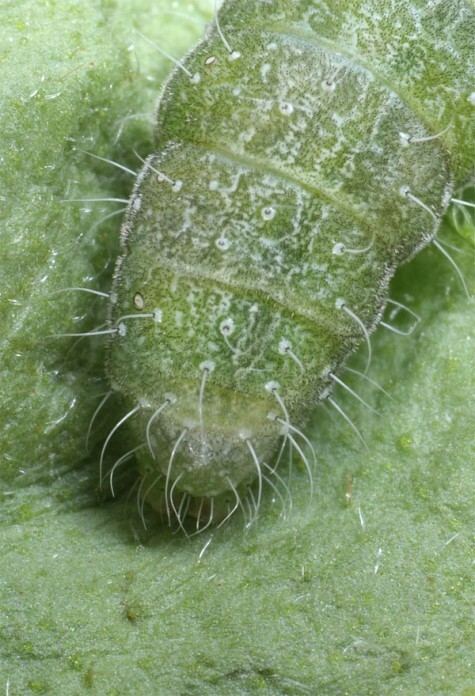 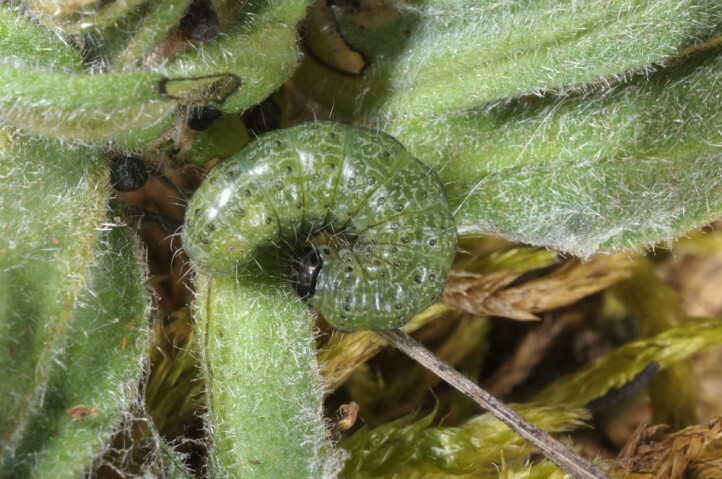 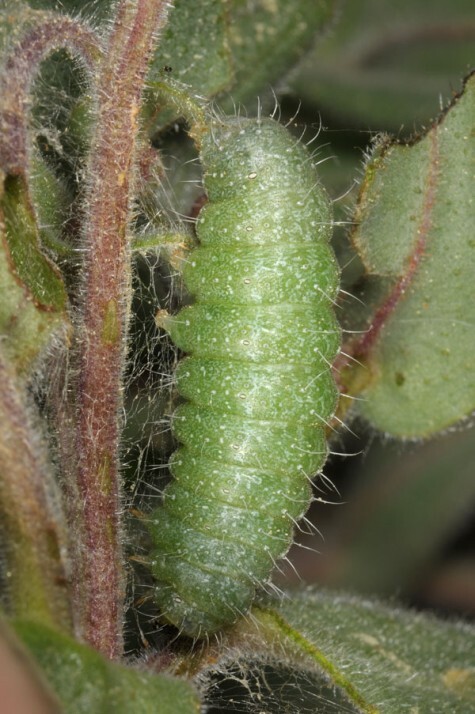 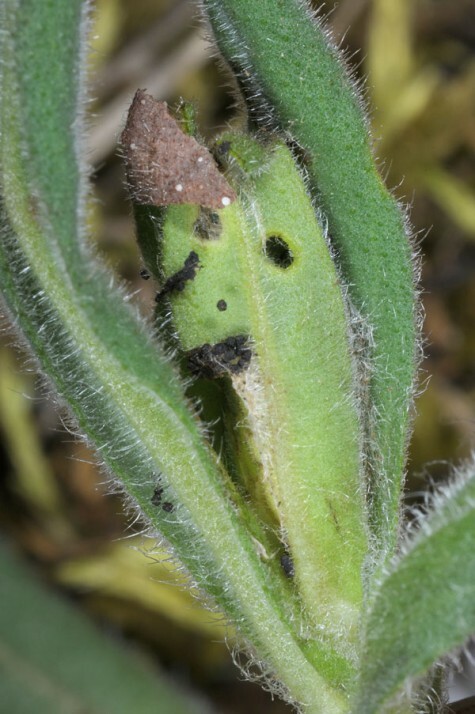 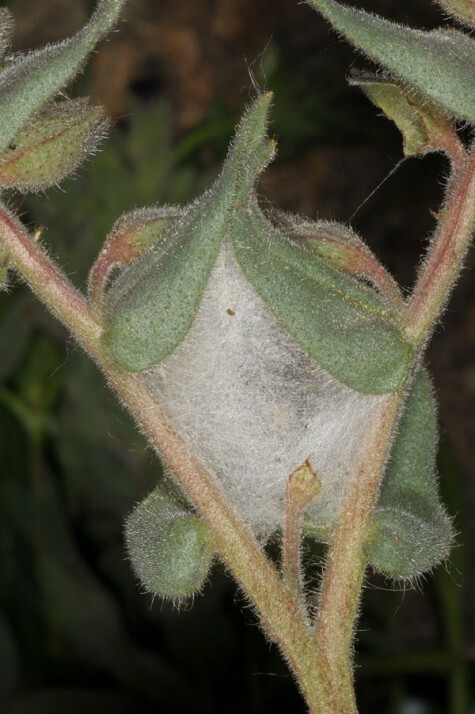 Young larvae live within a spun shelter in the tip of shoots near the ground, later more freely on inflorescences or secondarily also leaves. 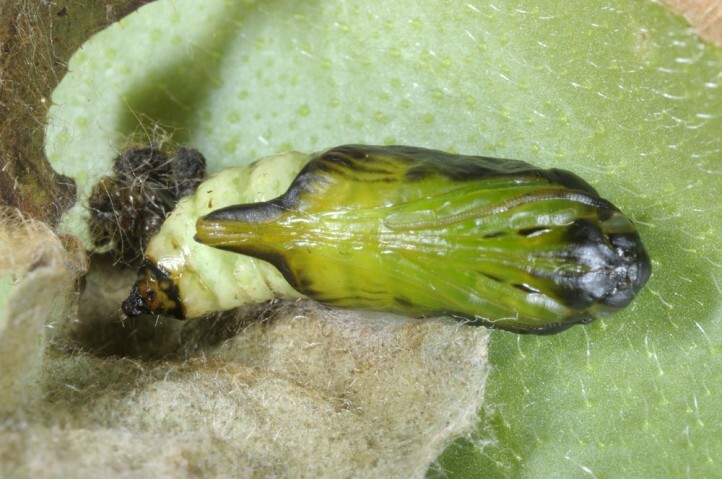 Pupation usually also occurs in a cocoon in the inflorescence. 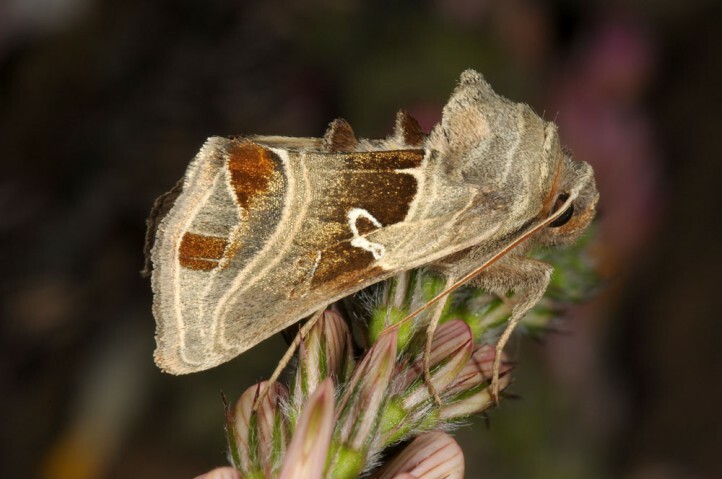 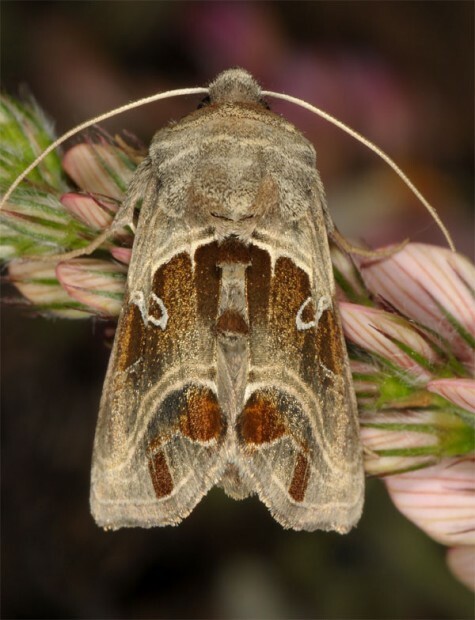 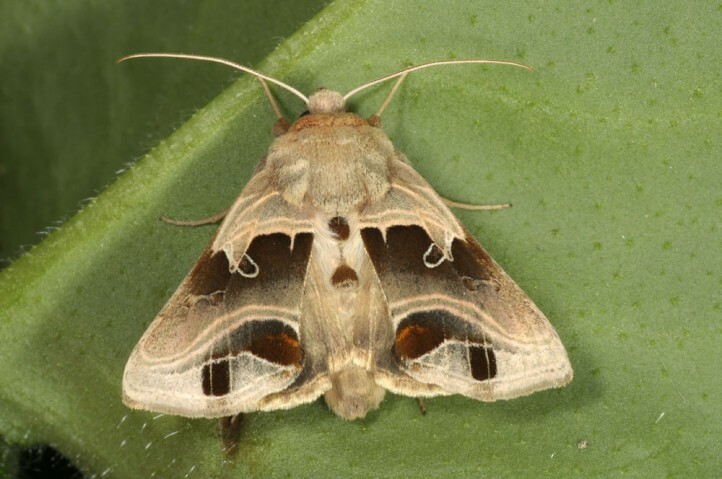 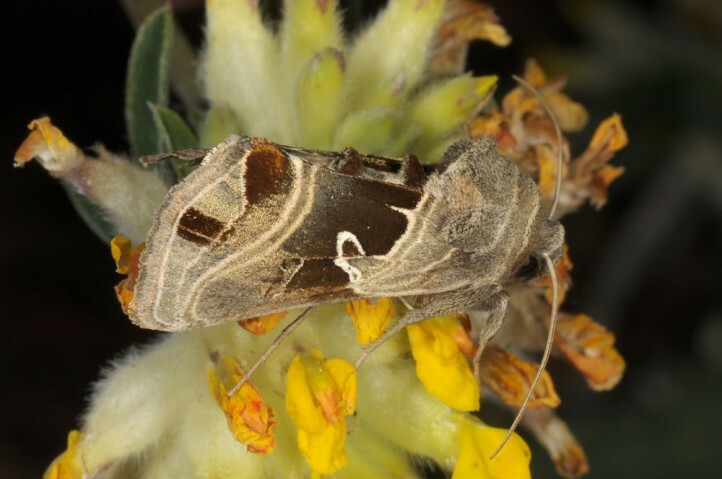 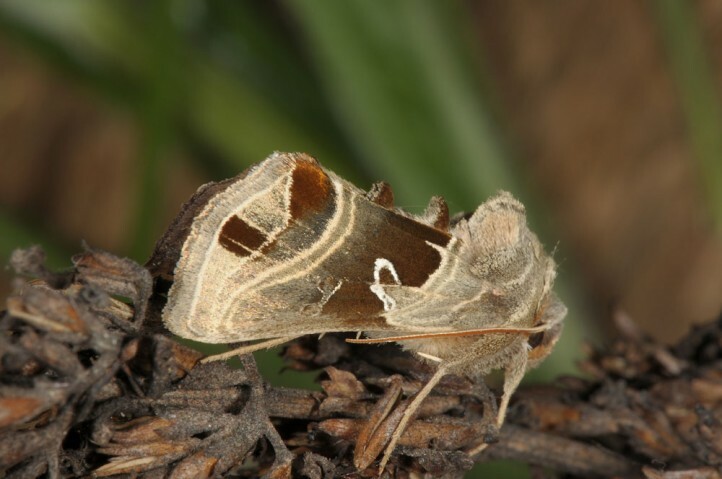 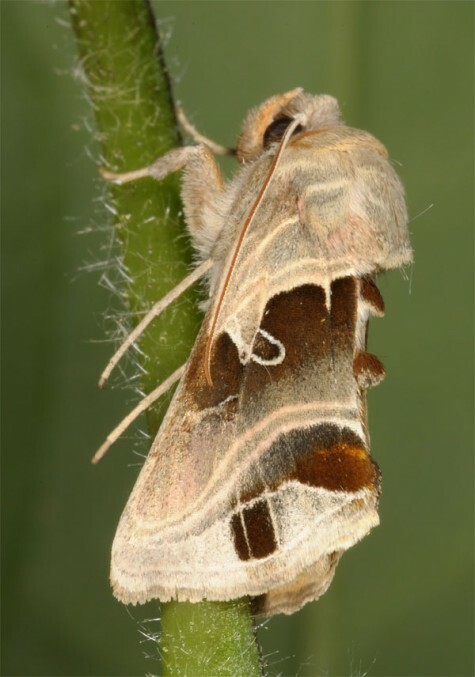 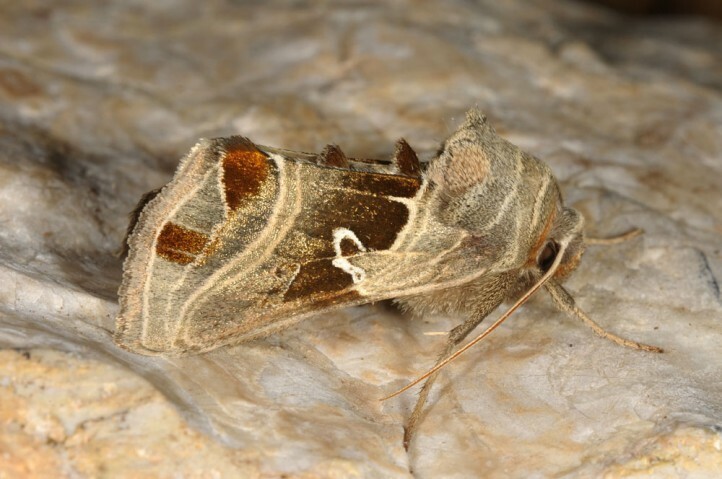 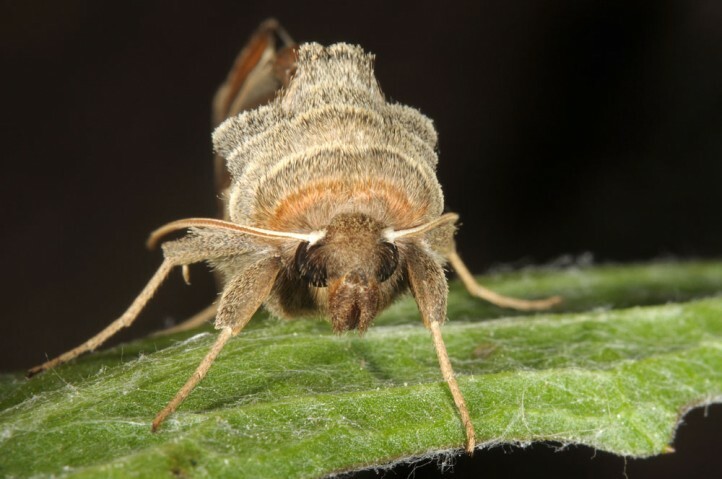 In July and August larvae can be found again, resulting in moths of the second generation in August and September. 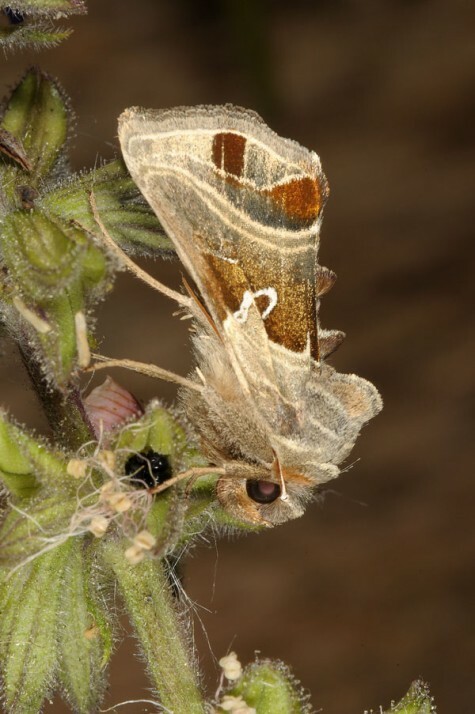 Euchalcia consona is critically endangered especially in its local outposts in Central Europe (e.g. 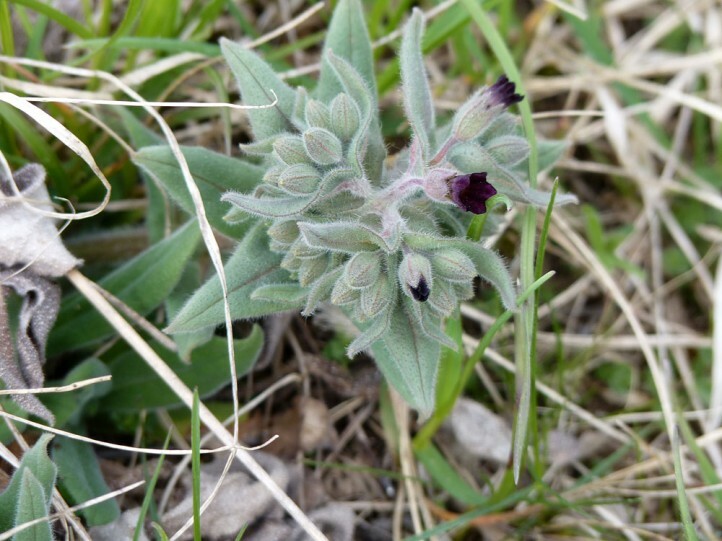 Germany: Kyffhaeuser mountains). 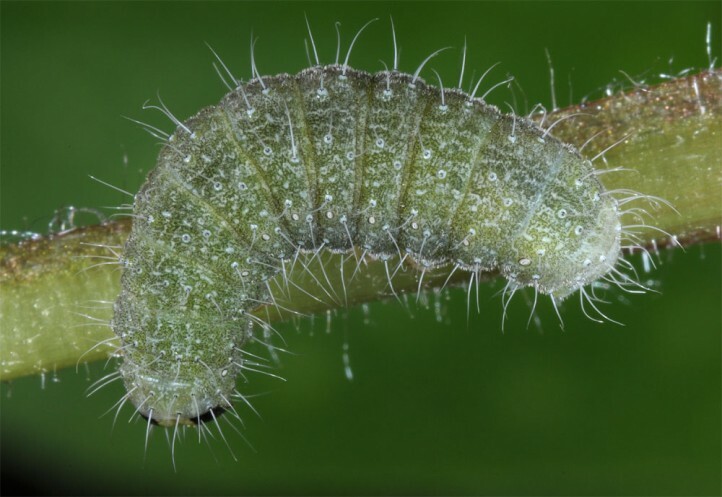 Main reason is the decline of larval habitat in both quantity and quality due to insufficient sheep grazing, increasing nutrient deposition, bush encroachment and agricultural intensification of adjacent areas. 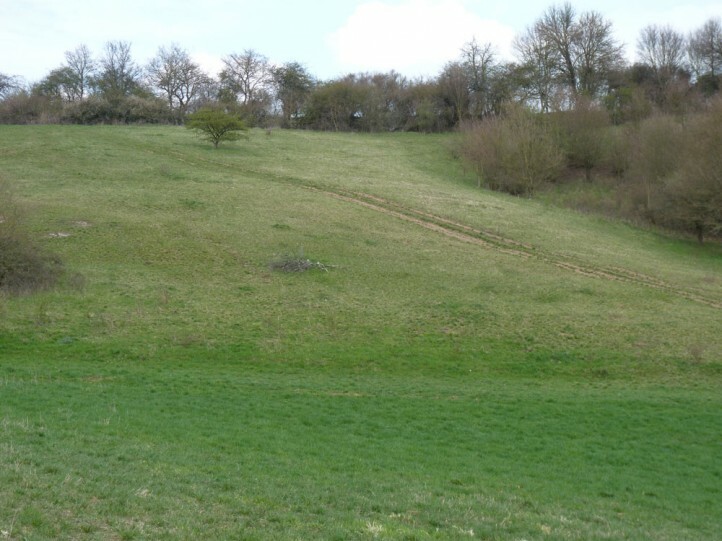 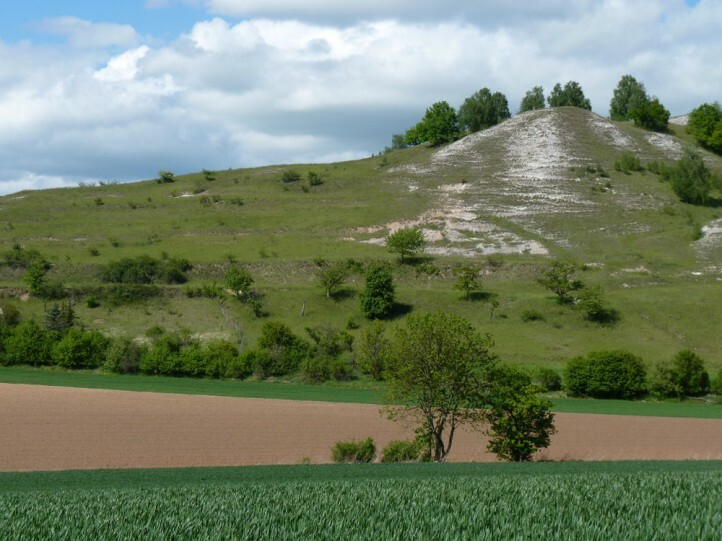 Fields and its grassy margins are nowadays too nutrient-rich and intensely managed. 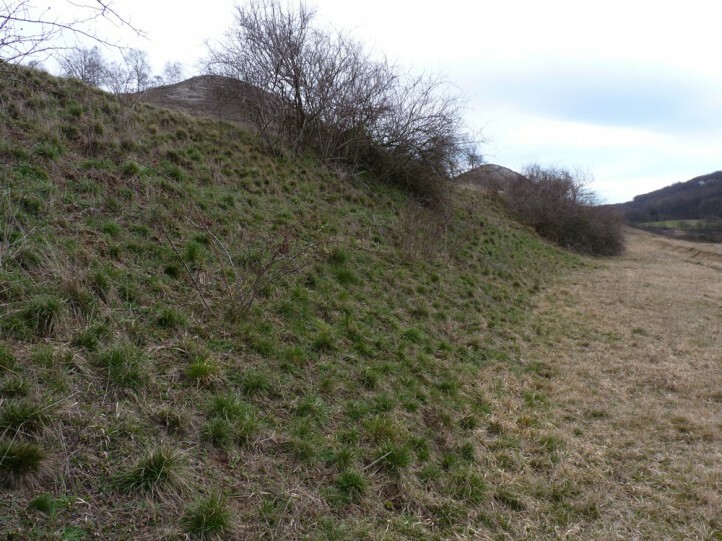 This results in decreasing area and increasing isolation that is fatal for this low-density species of large-scale or coherent habitats. 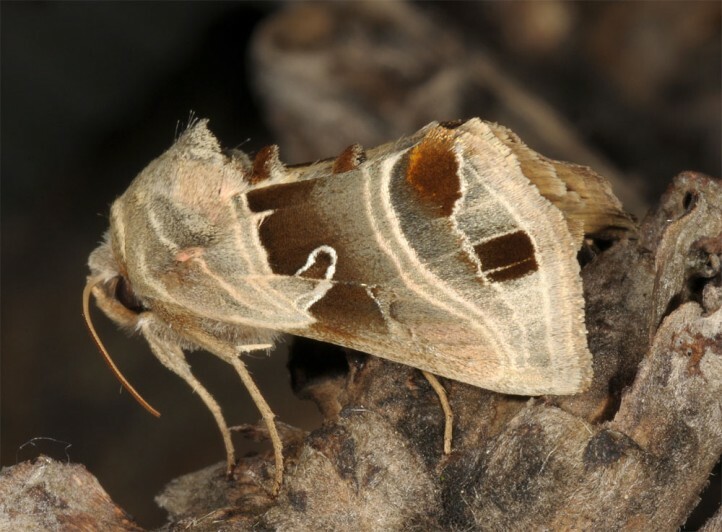 Euchalcia consona occurs from E-Germany (Kyffhaeuser in Thuringia) and E-Austria towards the East and Southeast (Balkans) up to at least Sibiria.